I found myself at the food court inside Grand Central Station last evening with a few friends grabbing a quick bite at Junior’s. While I was waiting on line for my food, I was suddenly aware that the place was swarming with Boy Scouts in full uniform. I turned to a couple of the little one’s standing on line next to me — they couldn’t have been more than 12 years old — and asked them where they were all from and why were they in town. I was expecting a short reply, you know the kind, a shy few words that you usually get from a kid that age. Boy was I wrong! The little guy talked and talked about how they were visiting from Los Angeles enroute to the National Scouting Jamboree that is being held several days from now in Virginia. They came to the Big Apple having first flown into Boston. Him and his buddy went on and on, and I think if I stood on that line all night they would never have stopped chatting away. Their excitement was palpable … and contagious. Despite the dreadful heat and humidity melting the Big Apple outside, for those few minutes, deep below the glorious Grand Central Terminal, what had been for me a hectic, stressful day was transformed by a congenial conversation with two excited kids. Their openness, self-confidence and genuine friendliness left me feeling really good about this country and about our next, up and coming generation. 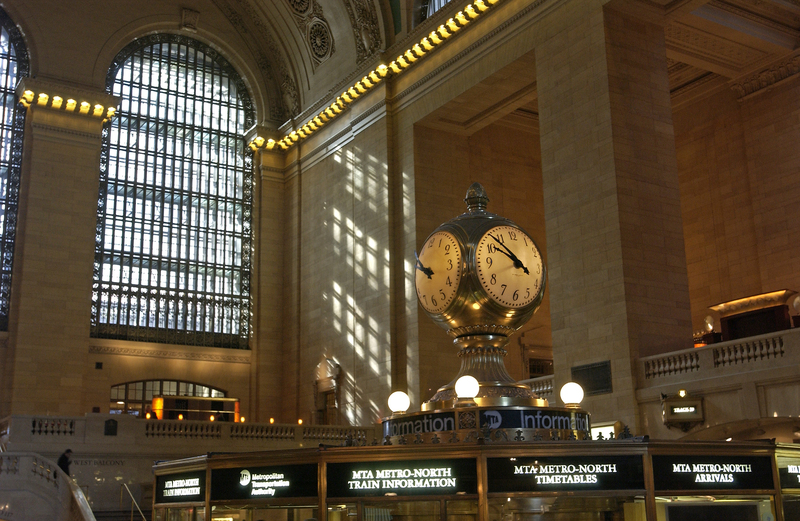 And most of all, I was left with another memorable New York moment brought to me by our truly Grand Central Station. Thankfully we still have it, a real treasure not to be taken for granted. A building that while dispersing people fast and furiously to different points around our city, can also bring strangers together, if only they just remember to take the time to turn to the person next to them and say hello.